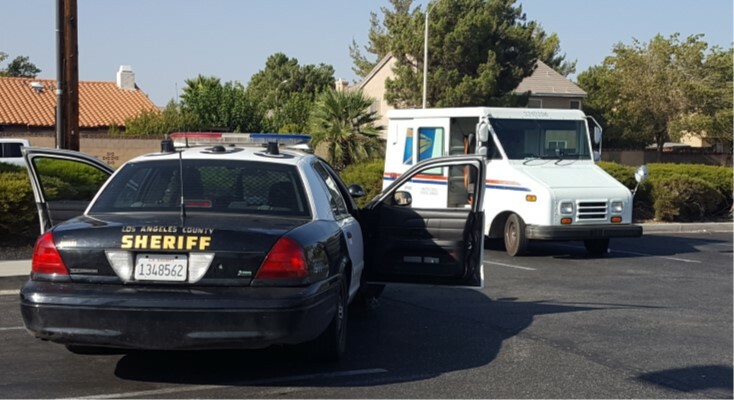 PALMDALE – A nearly empty mail truck was recovered in Palmdale Sunday afternoon and sheriff’s deputies are investigating how it got there, authorities said. The truck was found about 4 p.m. Sunday, Aug. 26, in the Sears outlet store parking lot in the 300 block of West Rancho Vista Boulevard, according to Lt. Steve DeJong of the Palmdale sheriff’s station. The truck was stolen from the U.S. Postal Service’s Mojave office and may have been taken when burglars found the keys, DeJong said. There was no mail inside the truck but a weed-whacker was found in the back, he added.